Celebration’s as Pamment slots home his penalty. 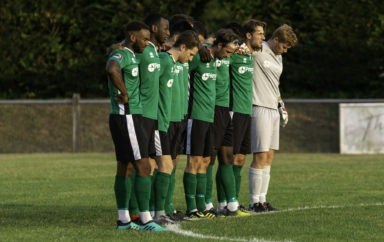 A comprehensive 4-0 win over neighbours Hassocks saw Ian Chapman's men claim the Ann John Memorial Trophy in front of a healthy crowd at the Beacon last night. 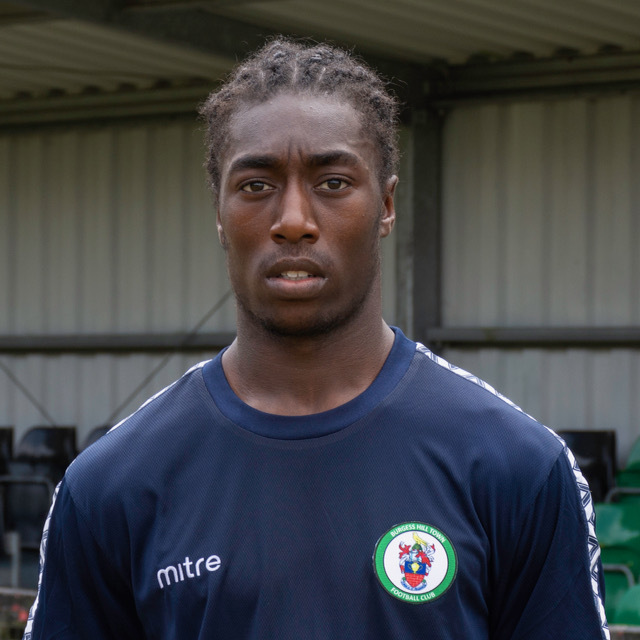 The Hillians started the first half brightly, with Dan Beck orchestrating the game from the middle of the park, and Aaron Smith-Joseph causing problems. The game had a very “pre-seasony” feel to it, with Hassocks allowing the Hillians to keep possession. The second half was a completely different story! The Hillians came out of the traps at lightening pace, and ASJ opened the scoring in the 48th minute, with a neat finish. 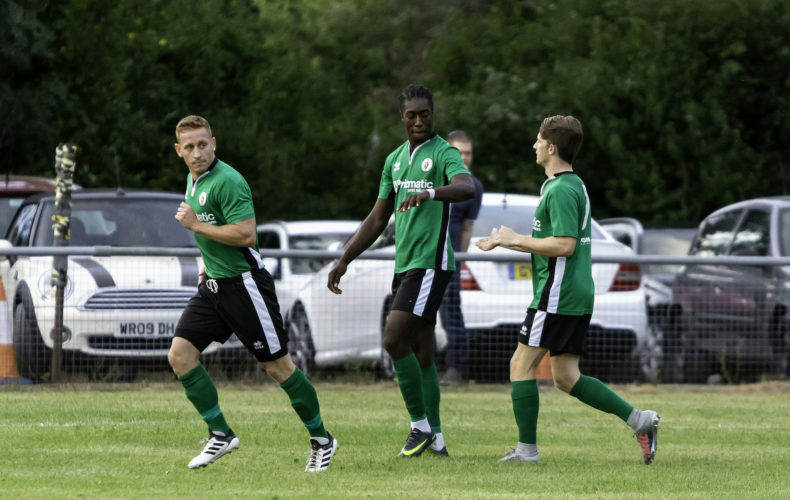 Kieron Pamment doubled the lead with an emphatic penalty, and Billy Barker tucked home at the back post, to give the Hillians a three goal lead. MOTM, ASJ rounded off a fabulous evening, with an outstanding solo effort. Most importantly, a crowd of over 300 packed into The Beacon, raising over £800 for St Peter & St James Hospice. Next up, we travel to Eastbourne Borough on Tuesday 24th July – 7:45 kick off.